Hamburgs Bürger haben gegen eine Olympiabewerbung 2024 gestimmt. Nach dem ablehnenden Votum in der Hansestadt mit 48,4 Prozent Ja- zu 51,6 Prozent Nein-Stimmen (65,6 Prozent Ja-Stimmen in Kiel) zur Austragung der Olympischen und Paralympischen Spiele 2024 in Hamburg und Kiel wird die Bewerbungsgesellschaft ihre Aktivitäten einstellen. In Hamburg feiert die Deutsche Triathlon Union jedes Jahr das größte Triathlon-Festival der Welt mit mehr als 250.000 Zuschauern in der Hamburger City, rund 10.000 Teilnehmern, einem Wettkampf der Triathlon-Weltmeisterschafts-Serie und der Team-WM. Daher findet es gerade die DTU schade, diesem tollen Hamburger Event keinen olympischen Glanz verleihen zu können. Es ist schade, dass das Referendum in Hamburg keine Mehrheit für eine Olympia-Bewerbung ergeben hat, aber dieses demokratisch zustande gekommen Resultat müssen wir – als Teil von Sportdeutschland – sportlich nehmen und akzeptieren. Gerade die Deutsche Triathlon Union weiß, wie sportbegeistert die Stadt und die Bewohner in und um Hamburg sein können, weil wir seit vielen Jahren mit der Triathlon-WM-Serie ein tolles Sportfest in der Hamburger City feiern können. Aber auch vorerst ohne heimische olympische Spiele werden wir daran mitarbeiten, den Sport in Deutschland weiterzuentwickeln und junge Menschen dazu zu animieren, sich sportlich zu betätigen. Zug, Switzerland/Tampa, USA – Dalian Wanda Group Co., Ltd., einer der führenden chinesischen Mischkonzerne und Chinas grösster Investor im Kultur- und Unterhaltungssektor, gab heute bekannt, dass Infront Sports & Media und die World Triathlon Corporation (WTC) mit ihrer Marke IRONMAN in die neu gegründete Unternehmenseinheit Wanda Sports Holding Co., Ltd. integriert und entsprechend umfirmiert werden. Die Ankündigung folgt auf den Abschluss (Closing) der WTC Akquisition durch die Wanda Gruppe. Logo: World Triathlon Corporation, Inc.
Philippe Blatter, President & CEO von Infront, steigt zum President & CEO von Wanda Sports auf und leitet das neue Unternehmen. 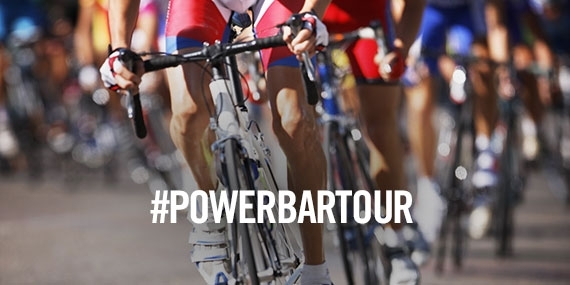 Das erfahrene Top-Management von Infront und WTC (IRONMAN) bleibt bestehen. Wanda Sports baut auf den erfolgreichen Strategien von Infront und WTC (IRONMAN) auf. Das Unternehmen setzt künftig auf drei zentrale Geschäftsfelder – Zuschauersport (B2B; Medienrechte und Sponsoring), Teilnehmersport (B2C; Active Lifestyle & Ausdauersport-Events) und Services (Produktion, Digital & Service-Leistungen). Wanda Sports operiert auf Basis eines starken internationalen Netzwerks. Der operative Hauptsitz des Unternehmens wird in Zug, Schweiz sein. Die Holding ist in China ansässig. Das Active Lifestyle-Geschäft wird von WTC (IRONMAN) Chief Executive Officer Andrew Messick aus Tampa, Florida, USA geleitet. In den kommenden Monaten wird das Management von Wanda Sports die Organisationsstruktur überprüfen und optimal an der Unternehmensstrategie ausrichten. Weitere Details werden im Lauf des ersten Quartals 2016 kommuniziert. Zug, Switzerland/Tampa, USA – Dalian Wanda Group Co., Ltd., one of the leading Chinese conglomerates and China's largest investor in cultural and entertainment sector, has announced today that Infront Sports & Media and the World Triathlon Corporation (WTC) with its IRONMAN brand will be integrated in a newly formed entity named Wanda Sports Holding Co., Ltd. and are to be rebranded accordingly. The announcement follows the formal closing of the WTC’s acquisition by Wanda Group. Infront’s President & CEO Philippe Blatter will step up to lead the Wanda Sports’ business as President & CEO with the experienced top management of both Infront and the WTC (IRONMAN) remaining in place. Wanda Sports will build on the successful strategies of Infront and WTC (IRONMAN). It will be based on three core business pillars – Spectator Sports (Media & Marketing business), Participation Sports (Active Lifestyle business) and Services (Production, Digital & Service business). Relying on a truly international network, Wanda Sports’ operational headquarters will be in Zug, Switzerland. The holding company is based in China. The Active Lifestyle business will be led by WTC (IRONMAN) Chief Executive Officer Andrew Messick from Tampa, Florida, USA. In the following months, the management of Wanda Sports will further review the entity’s structure to maximise strategic alignment. Further details will be announced in the course of Q1/2016. The International Triathlon Union (ITU) congratulates the Dalian Wanda Group’s recent acquisition of the World Triathlon Corporation, and welcomes the Chinese conglomerate to the sport of triathlon. “ITU has been heavily focused on growing triathlon in China and across all of Asia. We’ve enjoyed great success with ITU World Cup races, technical official courses and athlete development camps held in China in the last several years thanks to the hard work of the China Triathlon Sports Association. World Triathlon Corporation’s Ironman Asia Pacific division recently served as the race organizer for ITU’s World Triathlon Gold Coast event, which is slated to continue the next three years, including a turn as the local organizing committee of the ITU World Championships in 2018. Following the recent acquisition of World Triathlon Corporation, Inc. by Dalian Wanda Group for est. $890 million including assumed obligations raises a couple of questions. Three particular will be addressed in this article. How and when can get Dalian Wanda get a return on investment? Dalian Wanda is separated into two divisions. The Real Estate division owns 100+ shopping malls and 70+ hotels and is the powerhouse of Dalian Wanda Group's wealth. The second division is called The Cultural Industry Group are 6,600+ movie screens, including the largest movie theater chains like Hoyts Group in Australia, Wanda Cinemas China and AMC Entertainment Theaters in the U.S. Other assets are Sunseeker yachts from Great Britain and Swiss Sports Marketing firm Infront Sports & Media AG. Infront was acquired in February 2015. His CEO Philippe Blatter, a nephew of FIFA long term president Joseph "Sepp" Blatter, is a triathlete with 15 Ironman finishes under his belt. Infront is in charge of being WTC's marketing and media service partner for EMEA region since 2011. Infront was also one of the parties conducting due diligence on WTC's assets in year 2014, but stepped away from a deal. Maybe the price tag was too high or Dalian Wanda was already approaching early talks of an acquisition of Infront itself. But at one time, a Dalian Wanda Group owned company had already all important data concerning WTC's core assets like IRONMAN and M-Dot brands and owned races. The Cultural Industry Group could leverage IRONMAN with current Dalian Wanda Group assets like film industry and sports marketing. Short-term exceptional growth rate can be expected in Aisa and esp. in China, while other regions may consolidates. A major role could play Infront. IRONMAN lacks for years on a real global title sponsorhsip deal or at least a branded sponsorship for all regional championship races as a series, same applies to the majority of regional races. Infront could contribute here and build a win, win situation for Dalian Wanda at this stage: generating commission for sponsorship deals and the deal itself for two of its own companies. Dalian Wanda movie studios, movie screens, Infront and IRONMAN - a deadly combination in endurance sports marketing. The Swiss-based agency [...] lead by its chief executive Philippe Blatter, an Ironman participant and enthusiast, was the driving force behind bringing the WTC and Wanda together. 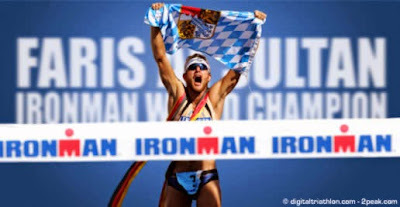 Will IRONMAN continue its aggressive groth and expansion plan? Yes, according to an email Andrew Messick, CEO of IRONMAN sent on August 27: "This ownership transition marks the start of another exciting chapter and opportunity for growth of our company. This sale allows IRONMAN to continue its aggressive growth, particularly throughout Asia, and reinforces our global appeal." Will IRONMAN's Senior Management stay in place? There is no answer for the long term, but the same email addresses this topic as well: "Although this is big news for our organization, rest assured that the IRONMAN team will stay focused on our races, our people, our athletes and our partners. IRONMAN has a very bright future: I intend to remain the CEO of IRONMAN and will be signing a contract extension as will the core of our senior management team. More broadly, our teams and leadership will remain intact, we will continue to grow and provide opportunities for partners and athletes." Dalian Wanda outbid other potential buyers for Ironman and is now in negotiations to finalise a deal with its owner, private equity firm Providence Equity Partners, the person said this week. There is no certainty that Dalian Wanda will manage to finalise a deal, the person added. The source asked not to be identified because the negotiations are confidential. A spokesman for Providence declined to comment, while representatives for Dalian Wanda and Ironman did not immediately respond to a request for comment. China’s richest man in talks to buy Ironman triathlon competition for more than US$850m. Wang Jianlin's company, Dalian Wanda Group, is in talks to purchase triathlon firm, says source. According to their mission statement Professional Triathlon Union (PTU), founded and gone live on 29th of July 2015 wants to "represents all professional non-drafting triathletes globally". This might be the 3rd or 4th attempt in triathlon's short history to create a strong and long lasting union for better representation of athletes needs, responsibilities and the development for the sport based on pro athlete agendas. Given the new communication methods technology is providing today this attempt may last long and will establish itself as trustworthy partner, even without an "regular office" or postal address provided yet. The PTU will also address all suggestions presented by the PTU Pro members. By achieving these objectives the PTU will be professionalizing the non-drafting sport of triathlon to benefit Pro non-drafting triathletes and ALL Stakeholders. A short list of benefits for pro athletes is avaibale already as well as a board to discuss things "internally". Founding members of the (currently way overcrowded board) are Rich Allen (President, CEO), Dirk Bockel, Mirinda Carfrae, James Cunnama, Scott DeFilippis, Andreas Dreitz, Mary Beth Ellis, Helle Frederiksen, Pete Jacobs, Rachel Joyce, Meredith Kessler, Sebastian Kienle, Angela Naeth, Dylan McNeice, Tim O'Donnell and Jodie Swallow. It's obvious, that the current structure will see smaller or bigger changes in near future. While International Triathlon Union (ITU) is still lobbying for inclusion of Triathlon's Mixed Relay into furture Olympic Games all teams put the hammer down in Hamburg, Germany. Two female and two male triathletes build one team over this fast distance: 300m swim, 6k bike, 1,6k run. Hamburg, lobbying for Olympic Games 2024, saw again the future of triathlon on shorter distances with France winning, Australia in second and Great Britain in 3rd while host Germany lost Bronze while serving a 10 second penalty 100 meters ahead of the finish line. In fact, shortly after the Ironman folks down in Florida got nabbed, their largest competitor rolled out a multi-faceted lottery promotion called Roth Rewards. One of the Roth Rewards’ lottery requires the athlete complete Challenge Cedar Point Full 2015 in order to be eligible to win the race lottery slot. Under lottery case law, it’s almost universally established that consideration exists where the purchase of a product or service is required to enter the random drawing with no alternative free method of entry. [...] one could easily make a compelling case that by requiring an individual to register and pay for another Challenge-branded event, this also amounts to consideration making the lottery illegal. Udate 08.07.2015, 11:30 CET: The athlete passed away. One pregnant spectator and additional 23 athletes went on race day straight to hospital too. 7 of them had to stay in intensive care, 4 of them are already discharged. Nach dem Ironman Frankfurt am Sonntag liegt ein 40 Jahre alter Australier im Sterben. Der Amateursportler hatte am Abend die Ziellinie überquert und war kurz darauf zusammengebrochen. Die Notfallmediziner stellten ein Hirnödem, also eine Schwellung des Gehirns fest. Diese verschlimmerte sich derart, dass der Tod des Sportlers nur noch eine Frage von Stunden, vielleicht Tagen ist. Professor Leo Latasch, Ärztlicher Rettungsdienstleiter beim Frankfurter Gesundheitsamt, bestätigte die Informationen dieser Zeitung auf Nachfrage. Der Australier habe nach seinem Zusammenbruch starke Krämpfe gehabt und sei zunächst in einem eigens für den Ironman aufgestellten „Intensivzelt“ am Ziel behandelt worden. Danach sei er mit dem Rettungswagen ins Krankenhaus gebracht und notoperiert worden. Der Zustand des Sportlers habe sich trotzdem weiter verschlechtert. Mit Medikamenten lasse sich das weitere Anschwellen des Gehirns nicht mehr verhindern, sagte Latasch. „Wir gehen davon aus, dass der Mann nicht überleben wird.“ Die Angehörigen seien informiert worden. Als Ursache für das Hirnödem führt der Rettungsdienstleiter mangelnde Salzzufuhr an. 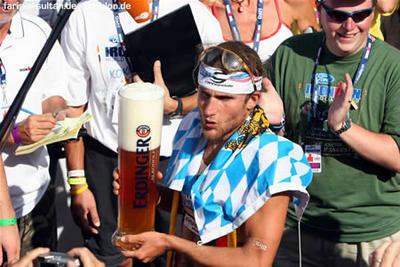 Der Amateursportler habe nur Leitungswasser und kein natriumhaltiges Wasser getrunken, wie es bei einer körperlich so belastenden Sportveranstaltung wie dem Ironman erforderlich wäre. Natriummangel führt dazu, dass der Wasser-Elektrolyt-Haushalt des Gehirns gestört wird. Latasch berichtet, dass ihm in den vergangenen neun Jahren nur zwei ähnliche Fälle untergekommen seien. Bei den Patienten, die ebenfalls Ironman-Teilnehmer waren, sei die Situation aber nicht ganz so kritisch gewesen. Sie hätten auch beide überlebt. Professor Latasch berichtet, dass es im Laufe des Ironman am Sonntag 24 Klinikeinweisungen gegeben habe. Mit Ausnahme einer schwangeren Zuschauerin seien nur Sportler betroffen gewesen. Von den sieben Patienten, die intensivmedizinisch betreut werden mussten, seien inzwischen vier aus dem Krankenhaus entlassen worden. Weil wegen der Hitzewelle die Betten auf den Intensivstationen knapp wurden, sei abends ernsthaft der Abbruch des Laufs erwogen worden. Prior 2008 Bejing Olympic Games, German Jan Frodeno, raised in South Africa, was on a mission. The beach boy wanted the Olympic Gold medal in triathlon. His hunger was so badly, that he decided to just train-eat-sleep-repeat month over month in Saarbrücken (Germany), Deutsche Triathlon Union's (German sports governing body) training facilities with his training squad. There was no plan B, just plan A. Add another discipline in that training regime: optimize and rethink strategy and efforts. Frodeno, well known as high mileage worker, prepared for a sprint finish during his months in training and every spectator knew what happened in Beijing: "Frodo" won, leaving the biggest names behind him. In the following years Frodeno fell over the very thin edge of overtraining, got injured and wasn't able to adapt to the new demands of a year long Olympic World Series on a very high level. Bad luck in terms of weather marked a career low in Budapest, where he lost the World Series title after his Gold medal in very cold conditions. He's a big and tall guy, even beeing one of the skinniest in terms of body fat composition his long extremities add to weight and vulnerabily to injury, but he likes hot weather a lot. The coffee lover with his own brand Frodissimo is a one day peak performer for sure. London Olympics saw him just recovering from injury, but with a very solid Top 10 finish. 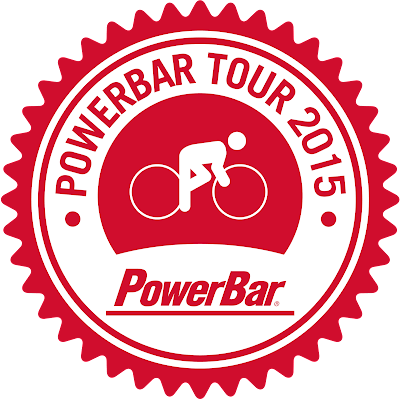 The build-up was one more indicator, how Frodeno can tackle obstacles. 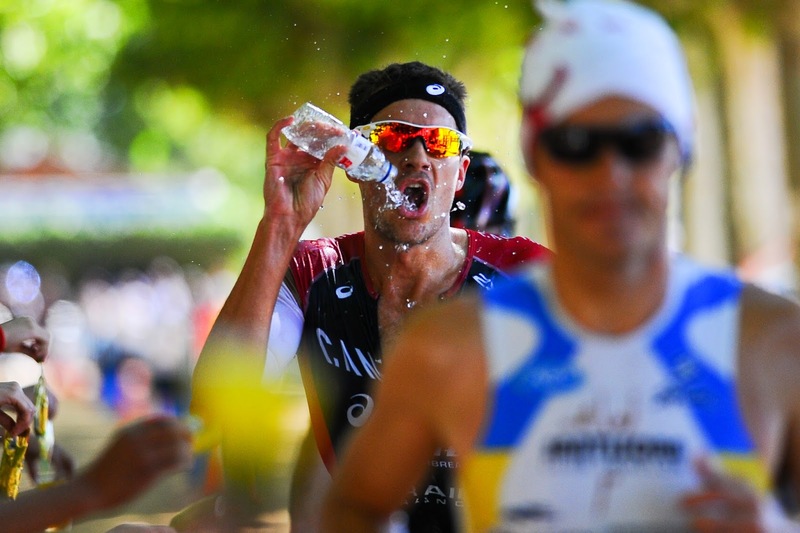 But deep inside the strong swim-runner knew already, that the likes of Alistair Brownlee and his brother Jonathan as well as Javier Gomez are difficult to beat all year long. Time for a change. This change would likely have come a bit later, if Frodeno didn't accepted an invitation to Ironman World Championship from his bike sponsor at the time to spectate. The man was hooked with all that vibrant activity going on during pre-race week in Kona. His appearances on 70.3 in Wiesbaden and abroad, as well as long distance races in Frankfurt and Kona later were really impressive, despite the fact he had to overcome serious (technical) issues in all of those races: ripped wetsuit, lost drink bottles, lost transition bag, multiple flat tires, bike penalty, etc. The list goes on and on. The pre-race favourite was still able to finish all of these races on the podium. Categorized as talented swim-runner he lost a year of opportunities to win both major titles in Ironman in 2014 already, the European and World Championships. Sebastian Kienle, another German Uberbiker filled the spot very well with his state of the art biking, solid running performances and a steady improvement in his swim. 2015 began with bad luck for Frodeno again, two bike crashes left him with a niggling knee injury, which forced him to focus on the swim and bike parts of his athletic mix. 10 weeks with no or a bit running should convince him, that's it's in Ironman way more important to damage the competition in Kona on the bike and be able to run solid on very tired legs. On 5. 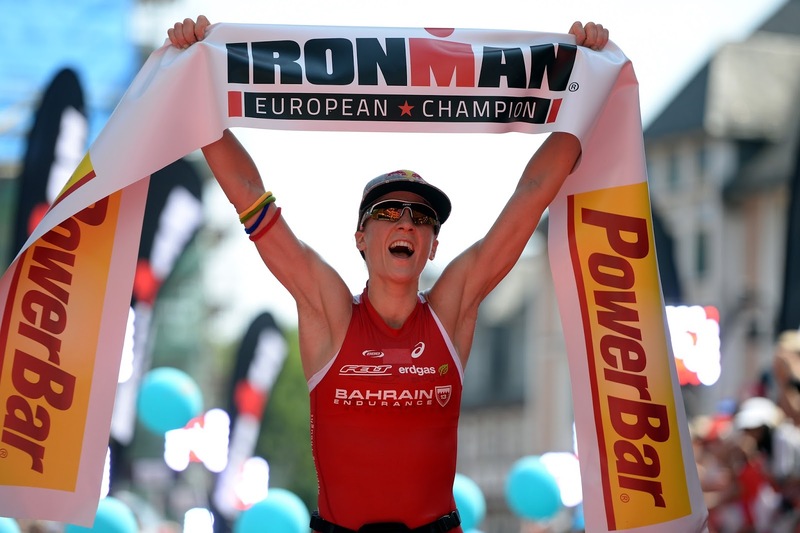 July 2015 the audience saw a historic wire-to-wire victory in Frankfurt, close to record breaking performances of Luc van Lierde in Roth and Kona. No weakness at all, minor obstacles (visor on helmet, lost bottle) to overcome, a very impressive race record (7:49:48) and even more astounishing and competion shocking bike record (4:08:43) on very hot conditions up to 39-40°C. How Frodeno crushed competition is similar to Craig Alexander's Ironman Hawii record breaking comeback. The year before fellow Australian rival Chris McCormack took away his title, isolating him on the bike with an alliance working against him in 2009. Crowie came back strong on the bike and killed everyone with his bike-run mix. 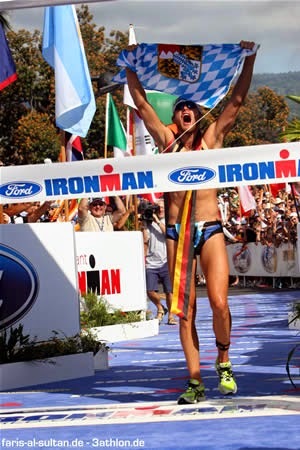 Jan Frodeno is the man to beat in 2015 and 2016 and has the opportunity to be the first athlete in the World to win both Olympic Gold and Kona. His competition, including reigning World Champion Sebastian Kienle has to get back to homework how to beat this man. 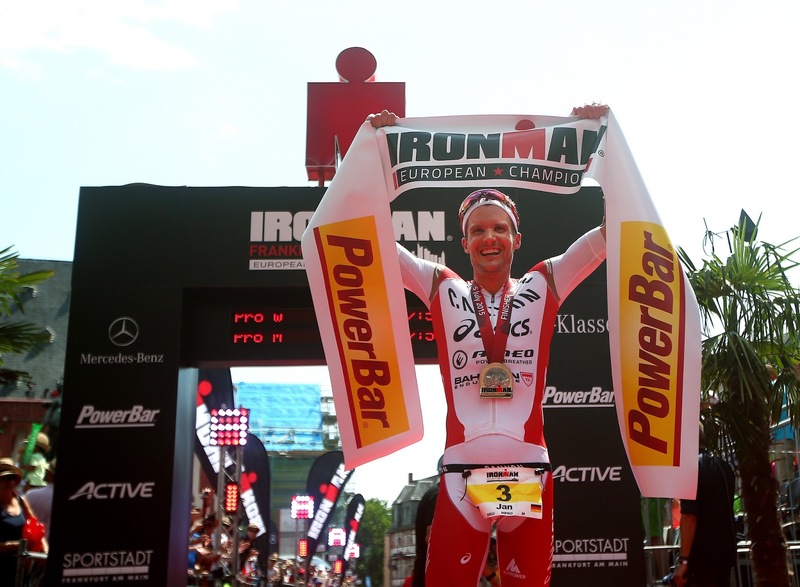 We might see the begin of the Jan Frodeno legacy. 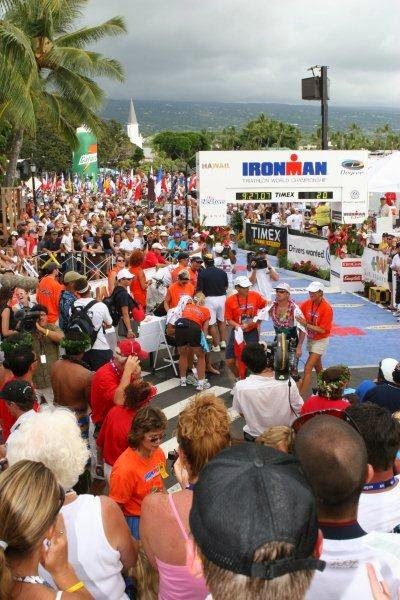 In 2017 or 2018, Ironman Hawaii will likely see the next step of performances and evolution. The triathlon industry evolves, thermal regulation and cooling gets mainstream, bikes get even better, saving a few watts at every edge of the bikes and equipment. Javier Gomez could step up after the 2016 Rio Olympics to the full-distance. The Spaniard proved already, that he can succeed on all kind of distances: drafting, non-drafting, sprint, Olympic, 70.3, XTERRA. He has a similar package like Jan Frodeno as well, with slight advantages on the swim and run segments. A battle in 2017 or 2018 between Frodeno and Gomez in peak performance could be historic and epic. World Triathlon Corporation as business owner should nurture this opportunity having two of the biggest role models in triathlon on their home turf in near future.